shelf & both drawers have 60 kg UDL capacity. 10 year guarantee and free delivery! Multiple drawer sizes offer a organised and efficient method of storing tools/parts. 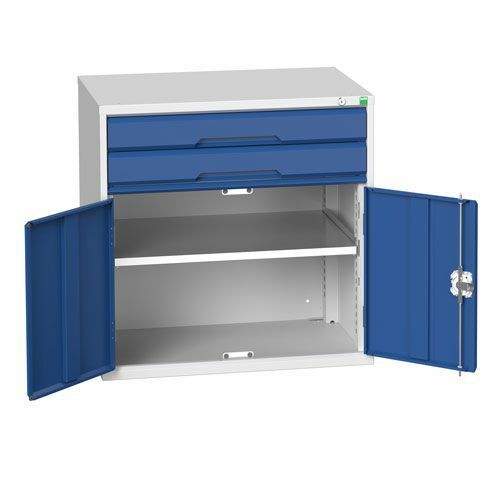 Bott Verso combination cabinet with 1 shelf and 2 drawers, for flexible storage needs 800x800x550mm.